290 pages | 68 Color Illus. This book is the first inter-disciplinary engagement with the work of Maqbool Fida Husain, arguably India’s most iconic contemporary artist today, whose life and work are intimately entangled with the career of independent India as a democratic, secular and multi-ethnic nation. For more than half a century, and across thousands of canvases, Husain has painted individuals and objects, events and incidents that offer an astonishing visual chronicle of India through the ages. 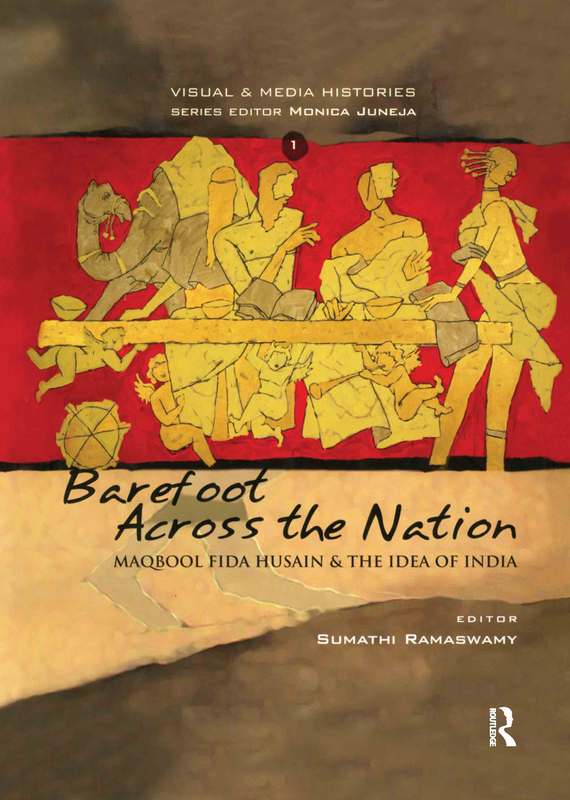 The 13 articles in this volume – written by distinguished artists, curators, anthropologists, historians, art historians and critics, sociologists and scholars of post-colonial literature and religion – critically examine the artistic statement that Husain has presented on the self, community and nation through his oeuvre. It engages with the controversies that have erupted around and about Husain’s work, and situates them in debates around the freedom of the artist versus the sentiments of the community, between ‘virtue’ and ‘obscenity’, between an ‘elite’ of intellectuals and the ‘common man’, and between a ‘work of art’ and a ‘religious icon’. Correspondingly it considers how India has responded to Husain: with affection, admiration and adulation on the one hand, and hostility and rejection on the other. This book is more relevant than ever before in light of the debates that have arisen over Husain’s self-imposed exile for the last few years following a spate of violent attacks on his home and exhibitions in India, and his recent decision to forfeit his Indian citizenship. It will be of interest to those studying art history, sociology, anthropology, cultural studies, and politics, as well as to a wide spectrum of readers interested in contemporary issues of identity and nationhood. Sumathi Ramaswamy is Professor of History at Duke University.